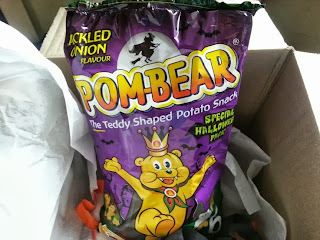 Pom Bears asked Bloggers to review a Pom-Bear Halloween Edition in Pickled Onion flavour. We like Pickled Onion, and we definitely like Pom Bears, so naturally we volunteered. When I opened the box I was suitably impressed. It was very Halloween-y! 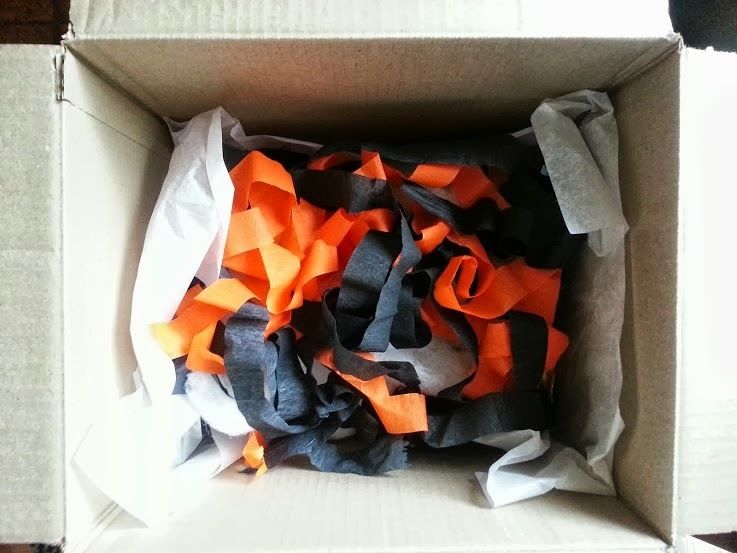 The packaging is also very Halloween-y! So I must admit to being a tiny bit disappointed when we got inside. 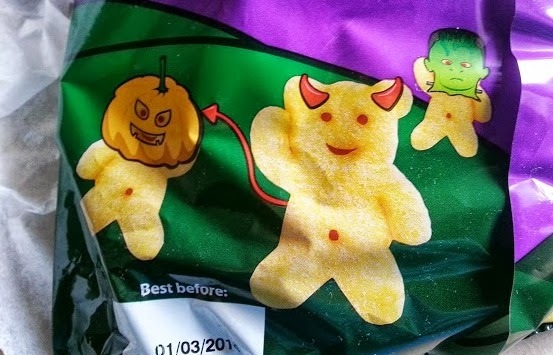 Why aren't they shaped like teddy devils with pointy 'horn' ears? Or Scarecrows? 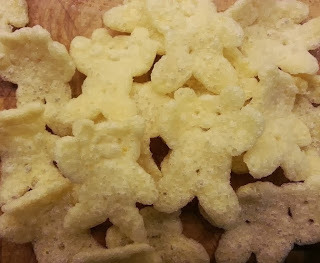 Or Skeleton Bears? 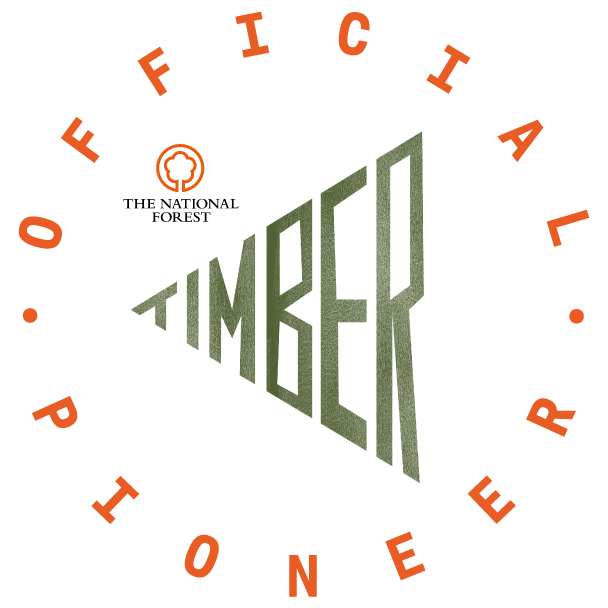 I can't believe they didn't think of it, so I imagine possibly the cost was too prohibitive. The Pickled Onion flavour is really very mild, yet still tasty, so they'll still suit younger children and toddlers. They don't have an unpleasant aftertaste, and they only have 96 calories a packet. They're gluten free, vegetarian and don't have added colours or preservatives. 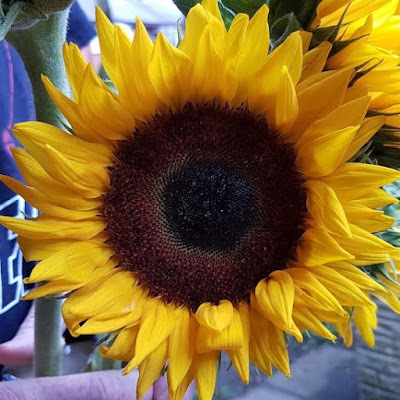 I like them, all 7 of my children like them, my partner likes them. You can't really do better than that. 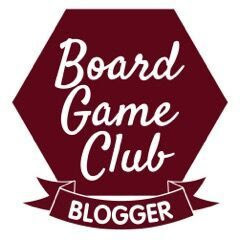 Follow Pom Bears on Facebook to hear all the latest news. The Special Edition Halloween Pom Bears will be available from Supermarkets for a limited time ready for Halloween and they make an excellent, and more tooth-friendly, alternative to giving sweets to Trick Or Treaters. They have an RRP of £1.59 per multipack of 6 bags, and are currently available for £1.39 from Ocado. 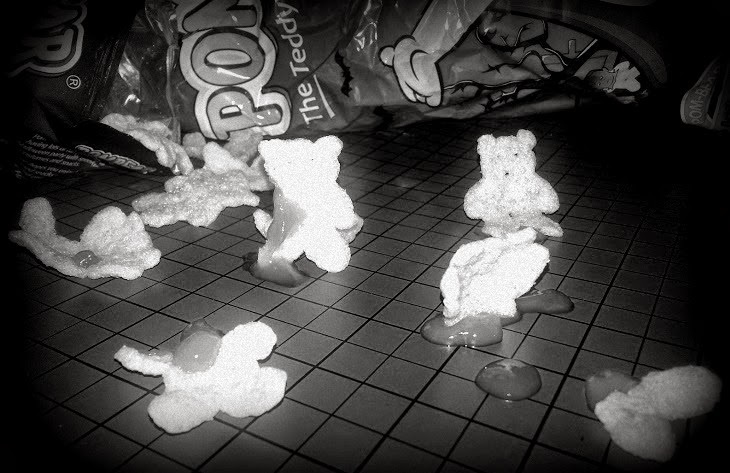 Disclaimer - no Pom Bears were harmed in the making of this post. OMG i love pom bears! and i have to say i love picked onion crisps!!! I have to try these! My kids love pom bears. 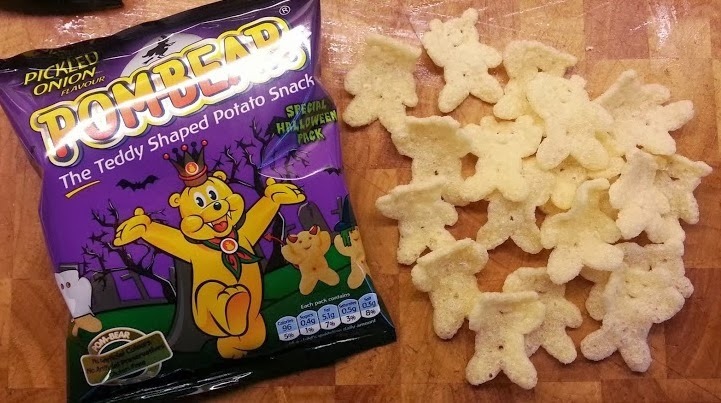 My boy loves 'teddy bear crisps' so we'll definitely have to give these a try. These are quite yummy, I'm trying not to eat all of ours to myself! Loving the last photo of them! I liked the flavour- and yes, they're sooooo addictive!